(Fortune Magazine) -- What economic crisis? After a blip last winter, China is growing at more than 8% a year, and the scale and speed at which the country is building a modern infrastructure are mind-boggling. But once you've absorbed the metrics -- the size of its trade surplus, the thousands of miles of high-speed railways, the new ports and highways -- a nagging question comes into focus: Sure, China can grow, but can its companies innovate? Can they build products that will compete in the global marketplace? At first sight, it seems a ridiculous question. China's universities are turning out hundreds of thousands of scientists and engineers; its computing wizards are legendary, and not just because they appear to be among the world's best hackers and copiers of others' intellectual property. Venture capitalists talk about the sheer thrill of watching Chinese startups, saying it reminds them of Silicon Valley in its garage-lab days. Yet it's worth remembering that China's recent supercharged economic growth has not been led by innovative private companies. It's mainly the consequence of a government-directed boom in bank lending, much of it to favored state-owned enterprises. If you ask management consultants to list the Chinese companies best known and admired in the outside world, many of them would be in basic industry and infrastructure -- the oil giants CNOOC and Sinopec, for example. Don't get me wrong; many of these businesses are world-class. I routinely get better mobile reception in rural China than I do in New York's Westchester County and this from a company, China Mobile, that regularly adds 4 million customers to its roster each month. But at least part of the companies' successes depend on privileged access to capital and their close relationships with China's power structure. An illuminating comparison can be found in Japan's emergence as a global economic power after World War II. Because we've become so used to the long Japanese economic stall since its bubble burst in 1989, it's easy to forget just how extraordinary Japan's postwar recovery was -- and how very different from that seen in China now. Yes, Japan's state played a part: The bureaucrats in the powerful Ministry of International Trade and Industry tried, with mixed results, to pick winners, and banks shoveled loans to favored corporations. But Japan's growth was resolutely led by those private companies investing in their own technologies. One other difference: Many of China's biggest businesses are buyers of assets overseas -- everything from companies to (so it can seem) half of Australia. Japan's corporate leaders 50 years ago were exporters, not acquirers. It was not just a question of finding new markets outside Japan; much more important, Japan's postwar leaders understood that if its companies were to succeed, they had to compete with established corporations in the developed world. That was how their technology, design, marketing, and customer service would become world-class. And so they went out into the world, however hostile it appeared. When Sony (SNE) opened a showroom in Midtown Manhattan in 1962, it was the first time the Japanese flag had flown in New York City since the war. No analogies are perfect, of course. Maybe we just don't see China's most innovative companies because they have no reason to show us their wares. The Sonys, Panasonics, Toshibas, Hondas, and Toyotas had to export, but China's domestic market is potentially far larger than Japan's could ever be. And as a political matter, what counts for China's leaders is the internal economic development of China, not whether its private companies are world-beaters. A venture capitalist friend of mine talks of China's enormous raw talent when it comes to innovation and surmises that we don't see it yet because we don't understand the Chinese domestic market well enough. Still, postwar Japan holds a key lesson. It is when local companies are exposed to the gale of competition in international markets that they really develop the innovative products and technologies that can change the world. Will Chinese companies do that? We'll see. 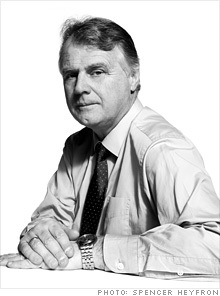 Michael Elliott is Editor, TIME International.